These easy Homemade Cherry Cordials are a sweet copycat of the store bought treats you find at Christmas and Valentine’s. Today is National Cookie Day, and I couldn’t let a day like that pass me by, now could I? Who comes up with these fun little “national” days? Not that I am complaining. Any day that celebrates more sugar is worthy of a national day by me!!! Have you had a Little Debbie Cherry Cordial cookie? They are a seasonal item that only comes out at the holidays. 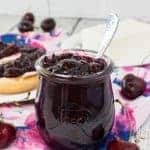 Well, if you are a cherry and chocolate kind of person, I came up with a copycat cherry cordial just for you!!! 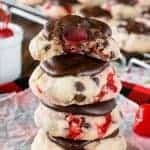 Two vanilla cookies, filled with a cherry marshmallow cream, AND drenched in chocolate! I did make these for our church Life Group, but I am thinking about hiding them and just putting out the Oreos. Then again with all the cookies and candies that come at this time of year, my jeans might protest at me eating that many! Better go get them out of hiding! Homemade Little Debbie Cherry Cordials. These vanilla cookies are filled with a marshmallow cherry frosting and dipped in chocolate. Cream the butter and sugars until fluffy. Beat in egg, vanilla, baking powder, and salt. Slowly add the flour. The dough will be very stiff, so you might need to stir in the last cup by hand. Divide the dough into 2 balls. On a floured surface roll each dough ball to about an 1/8″ thick. Use a 2 1/2 inch cookie cutter to cut out about 44 circles total. Bake on a cookie sheet for 7 minutes. Cool on a wire rack. Cream butter and shortening. Add marshmallow cream, cherry juice, cherries, flour and salt and cream again. Slowly add the sugar until well blended. Spoon frosting on half the cookies and top with another cookie. Melt chocolate according to package directions. Dip each cookie in the melted chocolate using a fork to hold it and a spoon to cover the top. Carefully tap it on the side of the bowl and then place it on wax paper to set up. The look cute but I’m not a fan of choc and fruit! I wish I liked cherries because these look delicious! 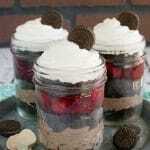 I am going to try making these. I love the Little Debbie Cherry Cordials! Oh my YUM!!! These look delectable! I can’t wait to try them for myself! I LOVE absolutely everything about chocolate and fruit! Delish!!! You did it again, another winning recipe. Yum. Yum! These look so good! 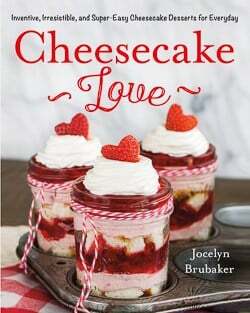 Perfect for Holiday food gifts for family and friends! These sound pretty much amazing!! Thanks for sharing! What yummy looking cookies. Cherry cordials are my favorites. Oh my goodness!! I LOVE THESE, actually had one with my coffee this morning. It’s a shame they are seasonal BUT NOW, thanks to you, I can make my own! This is my first time to your blog and it looks like you have a lot to share, so I’m gonna stay awhile. If you just left the cherries out, they would be perfect for me! these are adorable. love them! I didn’t know Sunday was National Cookie Day! Haha, we made cookies at home : ) These look great! 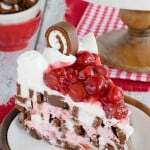 My dad is really into cherry & chocolate and would love these! Oh yum, these look so delicious! awwww! i missed nat’l cookie day?! what a tragedy. must make up for it with these!!! I don’t know that I have ever had Little Debbie’s, but I love chocolate covered cherries so I am sure that I would love these. I don’t usually make rolled out cookie, but these would definite be worth the effort. These are going in my Friday Finds this week. 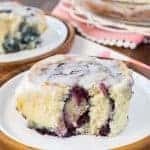 I will be making them as soon as I pick up some marshmallow creme. Thanks for sharing. These look amazing! At first I thought they were made with store-bought cookies and filling and just dipped. Now I see everything is from scratch! WOW! These truly made my mouth water. 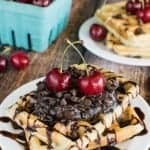 I love the combo of chocolate and cherry and this is the best of both! Definitely going in my recipe file. 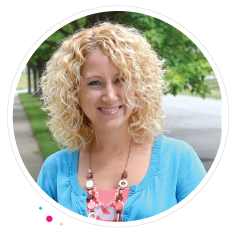 Newly following from the Remodelaholic Link Party. Thanks for sharing this yummy confection! how have i never heard of the little debbie original? i know i have eaten the weight of myself (plus a few other family members) in oatmeal creme pies and the fudge rounds.. must try these!! Already your follower. Just visiting. 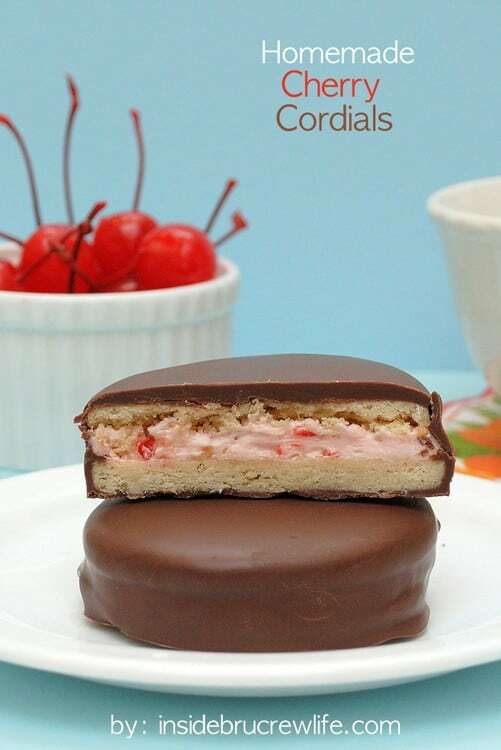 My MIL loves cherry cordials and her birthday is right after Christmas – I’m so going to make her these!! Whoah Jocelyn, whoah! I’ve never had the Little Debbie variety, but I think I’ll skip that version and go straight to yours. Can’t wait to try them. I’m pinning and featuring your recipe on my Facebook page today. Yummmm…. Wha – What!? Howcome I haven’t made these yet? Glad I stumbled across these, definitely making in the near future! What a cute treat! Thanks for the idea…and the Sugar Rush! Oh, my goodness! I followed the trail from this sweet collection to your yummy cherry cordials! Thanks for sharing! I LOVE These cookies !! What kind of cherries(maraschino, bing) & cherry juice? I used maraschino cherries and the juice from the jar. I hope you enjoy them! Every Christmas I buy as many boxes of Little Debbie’s Cherry Cordials as I can fit in the freezer and eat them throughout the year as long as they last, so I was very excited to try this recipe! Unfortunately I was disappointed. These are reminiscent of Little Debbie’s Cherry Cordials, but that’s all. 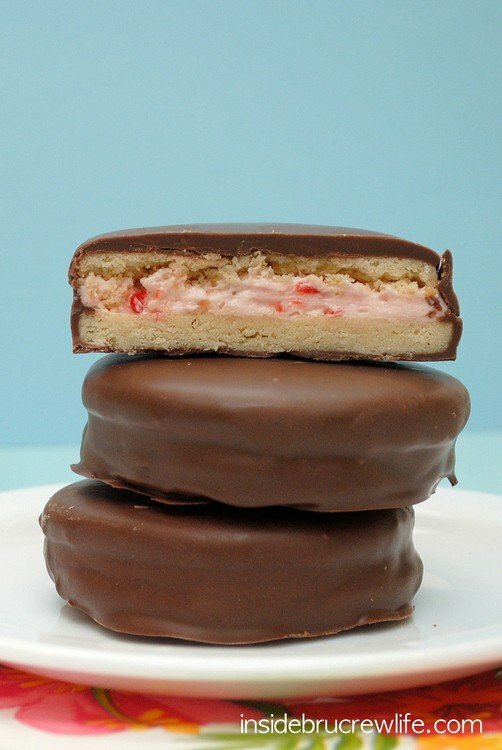 Little Debbie’s have a cherry flavored filling between two soft, almost cake like cookies dipped in chocolate. This recipe uses two crisp sugar cookies which are not even close to the same texture. Also, the filling is more like a cake frosting than what is in the Little Debbie’s. I can’t even imagine the calories in one of these with all that sugar, shortening and butter, but I guess that’s not the point. Anyway, they are OK but they are not Cherry Cordials as I know and love them, even if they do look like them. Don’t know if I will make them again or not. I’m so sorry these were not up to your Cherry Cordial standards. They are more of a look a like recipe, not an exact replica. The cookies should have been soft though. Mine were not crispy at all.